This is a guest post from Azeem Sayuti, who is one of our community’s star members and learners. Azeem finished schooling in November 2012. He wants to go to University and either study Teaching English as a Foreign Language or Law. He has been learning English since he was 7, but he didn’t start learning English the real life way until he was 13. He loves reading, hanging out with his friends and travelling. He wants to live abroad one day. Language is a great tool to help people to communicate. Knowing many languages certainly will give us an edge in exploring the wonders of the world and help us knowing people from different cultural background which will help us to widen our horizon and eventually will give us a different perspective in perceiving what is really going on, on the other side of the globe. English, being the most learned second language in the world, is on high demand for new committed language learners. Most of them go to language school to learn grammar in hope of being able to become fluent in the language, but to no avail, studying the complex grammar structure will not help you in getting fluent. I started learning English as early as I was in standard 1 in primary school. I spent 6 years in primary school, which is long enough to gain fluency in any language. But that didn’t happen to me. I was still struggling to speak out and my pronunciation was so out of question. It sounded terrible. Thinking of how 6 years went to waste, I realized that there must be a mistake somewhere and I found out that I spent all of those years learning English, but not learning how to communicate in English. After all, that was what it is supposed to be. I was not majoring in English; I shouldn’t have crammed up my mind with all the complex stuff, which didn’t help me to gain the fluency. Realizing the fact that language cannot be taught, but can only be learned, I looked up online some of the many ways to achieve English fluency. From what I read, I understand there are 4 stages of learning English. The listening method becomes the most vital one followed by speaking, reading and writing. Starting from that day on, I started to listen to a lot of English listening materials such as movies, songs and podcasts. I believe that language learning should be fun and enjoyable, that is why I only listen to stuff that I enjoyed so that I wouldn’t feel pressured and the process of acquiring the language would be so much easier. I would listen to them for many hours a day and I didn’t feel like I was in the process of learning. I only felt like I was treating myself with good movies to watch and cool songs to listen to. For some people, it would be hard at first to understand the native speakers, in that case, you can consider downloading the subtitles for the movie in English and try to understand all the words. Then, you can remove the subtitles and see the improvement you have just made. It doesn’t work the same for all people, that is why I highly recommend repeating them over and over again. For me, listening alone is not enough. When I am listening to something, the pause button is very important to me. I will pause at certain part of the podcast for example, to imitate the intonation and pronunciation of certain words to make myself sound more like a native. It may take quite a while, but I think it is a worthwhile process because it brought a huge impact on my spoken ability. I may not sound totally like a native, but I have been told quite a few times that my intonation and pronunciation was pretty good and people even asked me how I did it. I also believe in effortless spoken ability, I always tried to speak out whenever possible ignoring the fact that I would make a lot of grammatical errors. Did I care? Not in the slightest. Even the native speakers don’t use perfect grammar. Just speak out and try to sound as effortless as possible. Reading is a fundamental skill in forming a firm base vocabulary. I often found more bombastic (complex) words when reading than by listening. I may not use the words in my daily conversation but having an extensive vocabulary totally helps me in understanding the materials that I read and listen to. After all, communication is not only about making people understand us, but understanding the people first. Online dictionaries have certainly played a huge role in my process of learning English. But when reading something, looking up the dictionary every now and then is very exhausting. I sometimes don’t even bother to look up for the words that I am not sure of, I just try to guess them instead. Fret not, it works almost all the time. I installed the Anki application as suggested by the RLE guys and I will review the new words that I found. Again, repetition is really important. Sometimes, I feel extra sedulous that I will try to form a sentence using the new words in my deck. But, that only happens once in a blue moon. 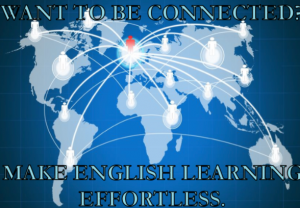 No matter how many hours we spend a day in learning English, it will not be as productive if we neglect the importance of having a conducive environment when learning English. I always make sure that I learn English in a very comfortable place, which I would not mind being there for long hours. I also surround myself around positive people such as the RLE community to keep me inspired in continuing to improve my English and help others to get there, too. Last but not least, you will not be fluent in English in a day, learning languages is a lifelong process. So, enjoy yourself! Wow Azeem that was really cool. I loved the rhetorical question… "Did I care? Not in the slightest." That's a great attitude to have, making mistakes is essential to learning anything. Thanks Chad! Making mistakes is part of learning. If we don't make any mistakes, that means we are not learning. Good luck Azeem. For English learners, help must come from different sources because ours is one of the hardest to learn. A new book/ebook available worldwide, "What Foreigners Need To Know About America From A To Z: How to understand crazy American culture, people, government, business, language and more,” helps foreigners benefit from a better understanding, including our language. Endorsed by ambassadors, educators, and editors, it even has chapters on English grammar and speech that identify the key problems common to foreigners (and Americans!) and how they can polish their communication skills. Why is English such a monster to learn? Here's an excerpt from the book: "As you may know, English grammar rules are full of generalities and the generalities are full of exceptions. Even the exceptions have exceptions. This is why English is one of the most difficult languages to master." The book (and e-book) is filled with tips anyone can use to polish their speech and understand the key basics of English. Probably the number one problem foreigners have is slowing down when speaking English, followed by pronouncing consonants. As the book points out, foreigners may think they know English but in many cases they have difficulty communicating to Western ears because of the common problems most have. For example, if Spanish speakers learn to pronounce the TH sound in English correctly instead of like the DA sound, it will significantly reduce their accent. However, most struggle in their efforts and need guidance. Perhaps concerned citizens and books like this can extend a helping hand.